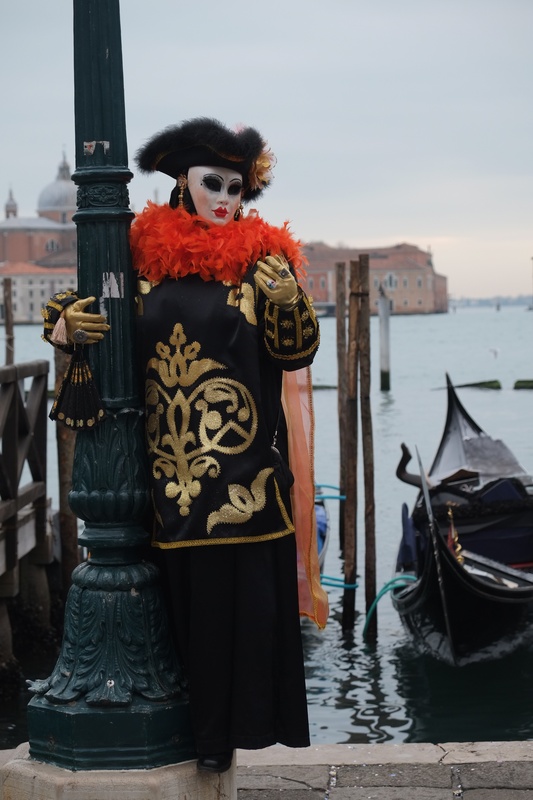 We had a recent holiday break in Venice for the Carnevale and to enjoy St Valentine’s day together and you can see our holiday photographs for this here. 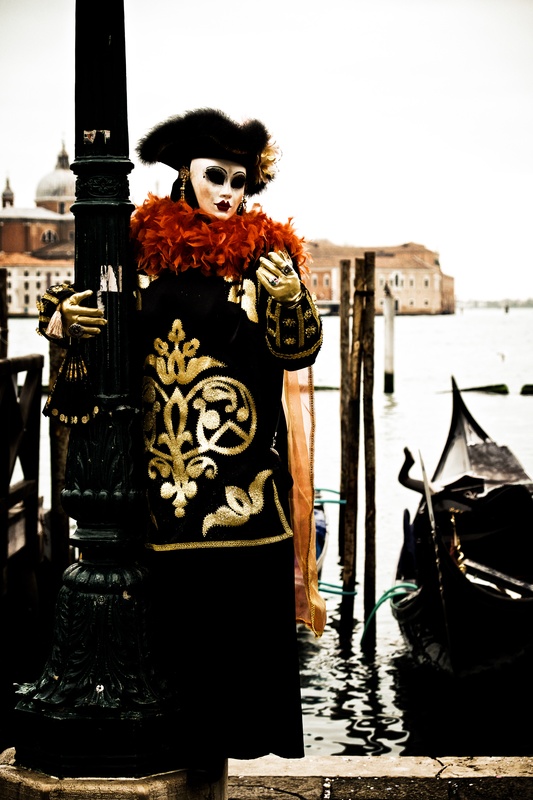 We also took a collection of photographs of people celebrating the Carnevale and these can be seen here. 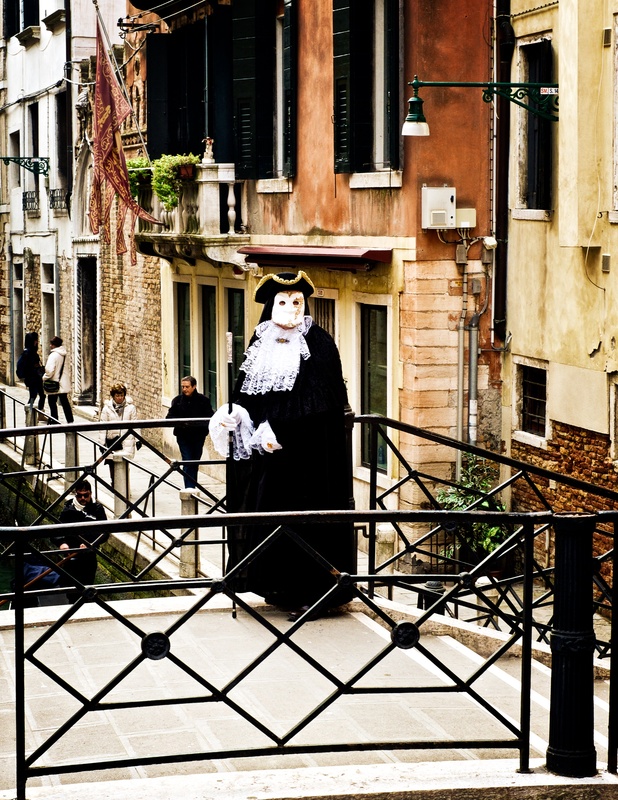 We were sold on going to Venice in February by our good friend and keen photographer Andy Williams, who explained how the people dressing up for the Carnevale would happily pose for photographs etc. He suggested we get up before breakfast as the models are around then and you can photograph them without all the tourist being around. We were sold on the idea and booked the trip up. We gave ourselves a photographic mission – to produce a large portrait orientated canvas depicting someone dressed for the Carnevale shot against a clearly identifiable Venetian background. We were both excited about the project end enthused by Andy we were confident we could achieve this. The reality however proved somewhat different. First the reality of getting up and out before breakfast proved beyond us. I like my food and a drop of wine in the evening and a knock on effect of this was that I also liked my sleep in the morning. Mrs P was no different so inevitably we never got out before ten in the morning. Secondly, this meant we were always shooting in a tourist packed environment. This meant we shot up close and personal for a lot of the shots, resulting in great photos of the people dressed up but not really capturing much of the essence of Venice in the background. The shot below shows the difficulty when shooting a bit larger – lots of tourists in the shot. The consequence, was that we got a set of photos we were very pleased with but in truth just one that might work for our portrait shaped canvas. This is the photograph at the beginning of this artice – this being the jpeg straight out of camera. We saw some potential in this, but the dull day made for a dull photograph so we played around withe the raw file and got to the shot below. Blowing out the background gave a more satisfying film like quality and a more pleasing stark photo. It has impact. However, on canvas this will be even starker and the subtle difference in colour between the man and the lamp post will be less pronounced. Consequently we had a final edit, where we tidied up the lamp post where some stickers had once been on it and lightened the shot a bit more to bring out the green lamp post. The result is perhaps a touch less dramatic than the shot above but we feel that this will work better than the shot above on canvas. Below then is our final version and yes by the skin of our teeth we have got the shot we wanted for our canvas. A close thing though as in all our shots this was the only real candidate. Good job then that we like the final result – can’t wait to see it hanging up in our home.